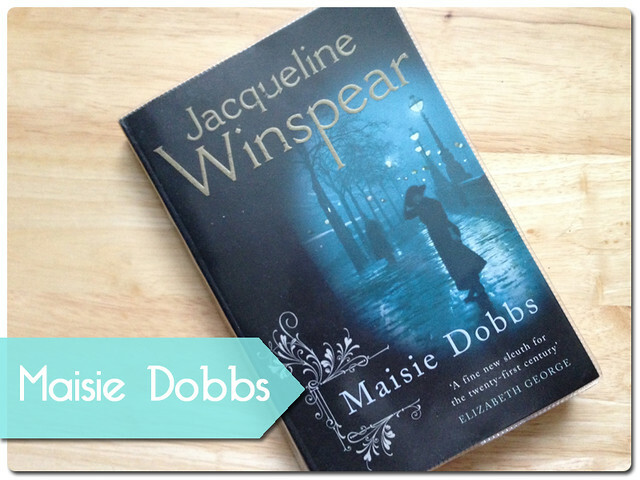 Maisie Dobbs by Jacqueline Winspear features the titular character, lady detective and early psychologist, Maisie as she tackles crime in the late nineteen twenties. The mystery surrounds 'The Retreat' a country estate where veterans of World War One have been disappearing to, signing over their fortunes and then promptly withdrawing from society never to be heard from again. Prompted by an old family friends plans to withdraw to 'The Retreat', Maisie takes on the case and investigates with shocking consequences. The novel is quite inspiring. It's main character is a woman who has risen from service as a maid to being spotted for her intelligence and assisted through university. She is a pioneering study of psychology while under private tuition and it is this psychological angle which makes these mysteries a little bit different. This isn't simply a detective story, this is a detective the likes of Poirot, using her brain to judge character more than using any physical clues. The novel also takes us through various times throughout the course of the story. Maisie's youth in service, her time at Cambridge University and her time as a nurse during World War One. 'The Retreat' is not the only mystery to keep the reader gripped, as Maisie's love life is kept hidden, suggesting a deep tragedy. I found this novel hard to get into at first, and it is this which has brought down the star rating, but by the time I had finished I was excited to read the next. There are a wide range of characters befitting the range in history, and each and every one, though quite stereotypical, is charming and has something more to them than it may first appear. The plot is complicated, that I will not deny. It jumps through time a lot and it can sometimes be a little difficult to remember exactly which year we were supposed to be in, but the flash backs though clumsy are necessary not only for this book, but for the arc of the whole series. These are mysteries within mysteries, featuring a primary crime that requires solving and then an ongoing curiosity for Maisie's own life. If you like your detective stories classic, but with a little more intelligence than Wimsey, these are definitely worth a read.